Your Position： Home>News & Events>MBBS In China>Are There Entrance Exams For MBBS Study In China? ARE THERE ENTRANCE EXAMS FOR MBBS STUDY INCHINA? One might ask why do a lot of students travel abroad, especially toChinato offer their dreams course. Foreign students do not only come toChinato study due to the low tuition fees but because of certain strict requirements the country demands before being enrolled. InChina, the whole procedure all together is a different thing on its own. For a foreign student to be enrolled to offer MBBS, one must apply directly either through an agent or the school. No entrance exams are required at the first place compared to most medical universities in other countries. The applicant just needs to provide high school graduate certificate or A levels, and other equivalent certificates. 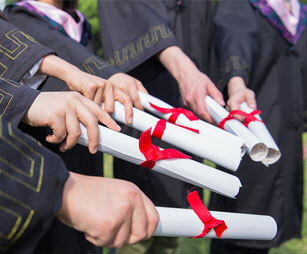 After securing admission into the medical university here in China, most schools usually use the whole first year in teaching Chinese and other related courses. Most schools here use the Chinese exams called HSK which national exams for foreign students to test their language proficiency in Chinese. Students who fall below the pass mark are being denied the chance to start their major (MBBS). Foreign students who fall victims to this are either repeated or given the exit to seek for a different school withinChina. In all overChinado not offer any common entrance exams for foreign students. It is when you have already admitted that the school uses Chinese language proficiency exams (HSK) to determine your chance of starting your major. But usually, most medical schools don’t go by this procedure.